A projector's resolution (or more precisely, its "native resolution") is simply the number of pixels that it has available to create an image. The higher the resolution of a projector, the more pixels it has. Projector resolution is designated with either one or two numbers. A typical two-number resolution might be listed as "1280x720." The first number indicates how many pixels there are in each horizontal row, and the second number is how many pixels make up each vertical column. If you were to multiply the two numbers, you would end up with the total number of pixels on the display device. 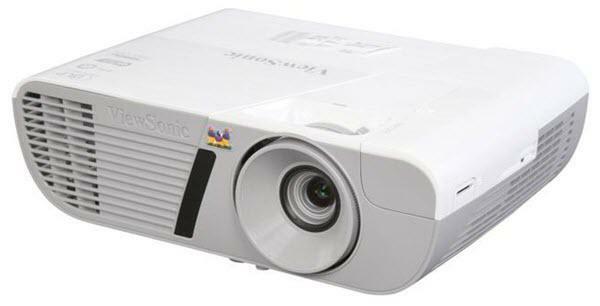 Often, a projector's resolution will be referred to by one number, such as "720p" or "1080p." This designation refers to the vertical resolution, or the second number in the two-number designator, while the "p" refers to progressive-scan, which simply indicates that the entire picture is displayed at the same time. Generally speaking, the higher the resolution, the more the projector will cost. The advantages of higher resolutions are that (a) they can display more detail in the picture (assuming the video signal has the detail in it), and (b) they reduce or eliminate the visibility of the pixel structure. Both of these are highly desirable in good home theater. The price difference is not as extreme as it once was, but there is still a gap to be aware of. 1280x720: For a long time, this was the most popular home theater projector resolution on the market. 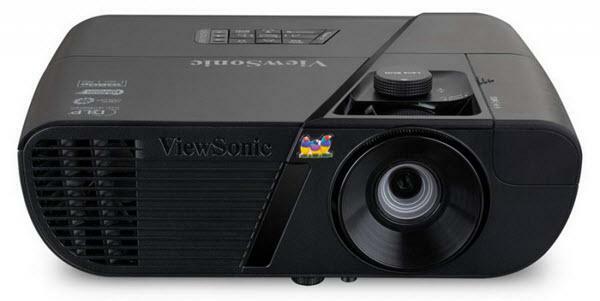 Most 1280x720 projectors offer very good to excellent DVD video quality. They also do a beautiful job of displaying 1080-line video, such as the 1080p found on Blu-Ray discs or the 1080i of broadcast HDTV. Street prices on the most aggressively priced models have dropped below $700, so this excellent resolution format is easy to get into from a budget perspective. 1280x800: This is a hybrid resolution that can natively display 720p high definition video as well as standard computer resolutions XGA (1024x768) and WXGA (1280x800) without scaling. If your viewing material includes both video and computer data or Internet surfing, this format will allow you to see the computer data signals in their clearest form. Note that this is a 16:10 aspect ratio rather than 16:9 as are the others in this list. So when you are viewing 16:9 video material, there will be small black bars at the top and bottom of the projected image. That is the penalty you pay for having those extra 48 lines available to accommodate XGA computer signals. 1920x1080: This resolution will display HDTV 1080i signals, as well as 1080i and 1080p signals from Blu-ray disc players, all in native format without any scaling. This gives you the sharpest and most detailed images available from most common sources of HD material. Due to the pixel density, visible pixel structure is vastly reduced. The least expensive 1080p projectors are now less than $1,000, while higher-end models range from $1,500 to over $10,000, with a "sweet spot" of excellent performance around $2,000 to $3,000. 4K: The newest resolution available is variously called 4K or Ultra HD. The resolution uses a native pixel matrix of either 4096x2160 or 3840x2160 -- four times the pixels of 1080p. 4K content is currently scarce, and 4K projectors are still quite expensive, but several projectors are now coming to market that use this new technology. We currently recommend 1080p resolution projectors for home theater, as prices are now low enough that they are affordable to most projector buyers. If you want your projector to double as both a video and data projector, the 1280x800 format should be considered, as well as data projectors using WUXGA (1920x1200) which are beyond the scope of this article. If you have the money to spend, and you want the absolute sharpest and most detailed picture possible from high definition sources, then 1080p projectors are the best choice. While 720p projectors can deliver very impressive HD images, the picture quality in terms of image detail is even better when the projector has the ability to show all 1080 lines of the signal in their native, uncompressed format. The 1280x720 format is still a choice if you have a more modest budget. Today's 720p projectors deliver beautiful high definition images from 720p and 1080i HDTV as well as Blu-ray disc players, but you will not be getting the full resolution of your HD sources. Once you've decided which resolution is right for you, you can go to Find Projectors and select your choice from the "Resolution" drop-down menu. You will likely get a long list of projectors, but other considerations will help you narrow it down later. When you get a feel for what's available, it's time to move on to picking your projector's Brightness.